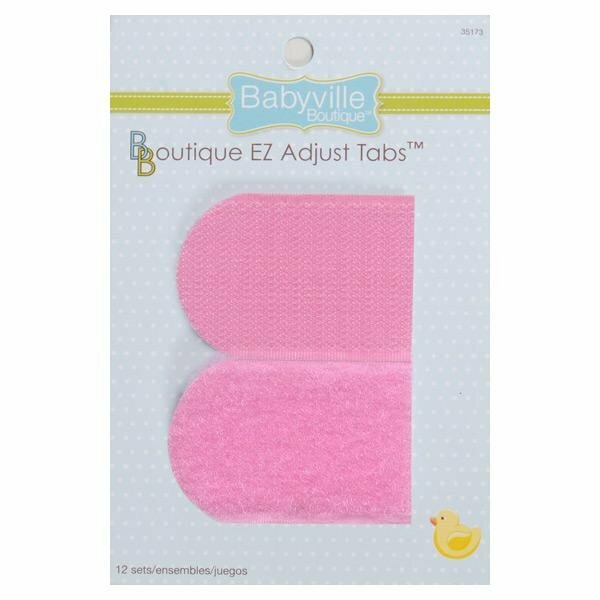 EZ Adjust Tabs makes a quick & easy adjustable closure for all your projects. Stitch Tabs in place using a zigzag machine stitch covering all edges. 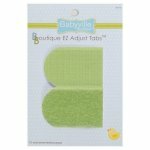 Refer to diaper pattern – sold separately- for complete instructions. Machine wash warm – tumble dry medium heat. Do not bleach. Use laundry tabs or fasten hook and loop before laundering. WARNING: CHOKING HAZARD – Small parts – not for children under 3 yrs.